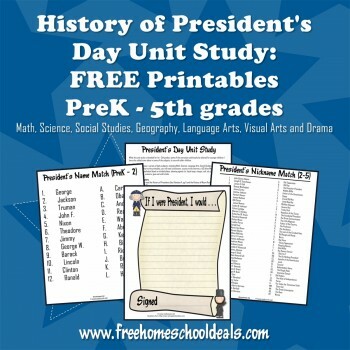 Lesson plans, book recommendations and other resources to help home schooling families with history, government and unit studies on the American Government and the First Five Presidents. Wonderful resources for younger students including lap books, hands on crafts and activities. He died on July 4, 1826, on the same day that Thomas Jefferson died. Simple American Government lessons for children ages 5 to 11. These lessons are suited for mixed age group teaching. We study government in order to understand our country. We study government in order to be able to make informed decisions. **Joyful Homeschool has moved her notebooking/Consitutional Unit Study FILLED with resources to a Squidoo Lens. Definitely worth a look at! Crafts:There are many crafts to add hands-on fun.